Tuna fishing this morning was excellent. We took off around 10 o'clock and did a tour of the South end of the island sightseeing. Yep that's right decided to go sightseeing. The guys and gals had a great morning and they've had several great days and of course we have tomorrow to fish for a full day. So we decided to show them some of the sites! That of course was easy and a great success. 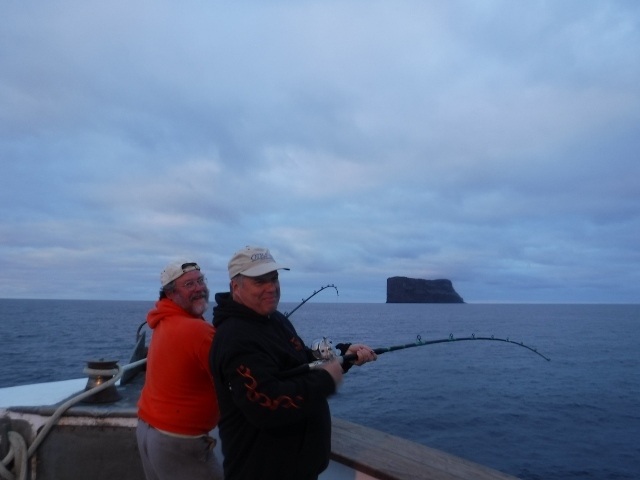 We anchored backup for the afternoon and scratched a few more fish before dark. Tomorrow will be our last day here at the island. Hoping for a big morning and then maybe go do some yellowtail fishing.